Early and effective HIV treatment may, in a small fraction of patients, lead to a so-called functional cure, French researchers found. Read this story on www.medpagetoday.com. But in all cases, the infection appears to be under control without the use of drugs – the definition of a functional cure, which unlike a "sterilizing" cure does not completely get rid of HIV. Researchers reported at the recent Conference on Retroviruses and Opportunistic Infections that combination antiretroviral treatment in the first few hours of life appears to have eliminated HIV infection in a baby. Nonetheless, in general, stopping HIV treatment is not recommended, said Dr. Michael Saag of the University of Alabama Birmingham. "In my practice," he told MedPage Today, "I would start everyone with acute infection on antiretroviral therapy, but in general I would just continue that therapy and not stop." The difference in this group, the researchers suggested, is that they were treated very early, in what's called primary or acute infection, and spent between a year and 7.6 years on therapy, with a median of 36.5 months. The 10 men and four women have now been off therapy for between four and 10 years. Their plasma viral loads are below 40 copies of HIV RNA per milliliter in all but three cases, and below five copies in five patients. 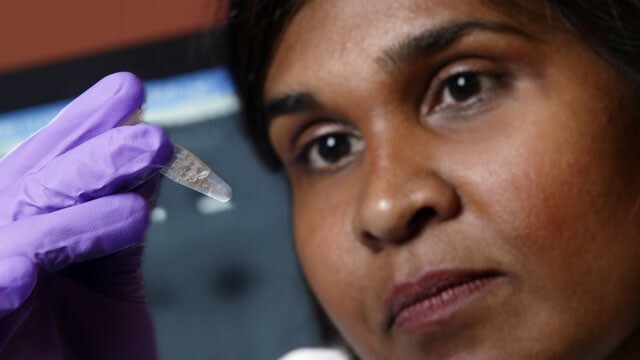 The virus is conventionally regarded as "undetectable" if the plasma viral load is below 50 copies per milliliter, although so-called single-copy assays – only rarely used outside the lab – can detect smaller amounts of HIV. What Sáez-Cirión and colleagues are calling "post-treatment controllers" are not common, they noted. Kaplan-Meier estimates of that population suggested the probability of maintaining viral control after a year was 15.3 percent. That means, Saag noted, that about 85 percent of patients treated early will still face viral rebound if they stop treatment. Although the phenomenon may not have immediate clinical implications, he said, it's "proof of concept" that the immune system can control HIV in some circumstances. It may also offer hope for a vaccine, he said. "It shows there is some immune response," he said, "that can be stimulated not just to control infection but to prevent infection if that part of the immune system can be primed and activated." Indeed, the researchers argued that study of these patients and others like them could "open up new therapeutic perspectives" for people with HIV. Among other things, they found that the immune systems of post-treatment controllers don't resemble those of "elite controllers" – the 1 percent of the HIV-positive population that appears to have a natural ability to control the virus.The elite controllers tend to have protective HLA class I alleles, but the 14 patients tended to have HLA variants associated with a higher risk of HIV progression, they reported. As well, elite controllers have large numbers of highly efficient HIV-specific CD8-positive T cells; the post-treatment controllers have "very weak" and in some cases barely detectable HIV-specific CD8 responses. On the other hand, there's at least one important similarity: Both groups have small HIV "reservoirs" -- groups of infected cells that give rise to new virus, leading to viral rebound when therapy is stopped. The finding suggests that "limiting the pool of infected cells is crucial for the successful control of viral replication in the absence of therapy," Sáez-Cirión and colleagues argued. And, they concluded, early therapy, continued over a prolonged period, "likely played an important role in reducing the reservoirs." That said, it remains "unclear" what factors distinguish the patients who achieved control from those who did not.